It's hard to believe that we have arrived at the last full week of August! Let's work together to make this the best week ever! In math, we will continue our investigation of Greatest Common Factor. I will show you how to use prime factorization to find GCF. This will come in handy when working with large numbers. I'll also share with you a few division rules that will be a life-saver when trying to find factors of numbers. You will have homework Monday and Tuesday evening, and a quiz Thursday. Please complete your Google Classroom Math Journal classwork by Friday. 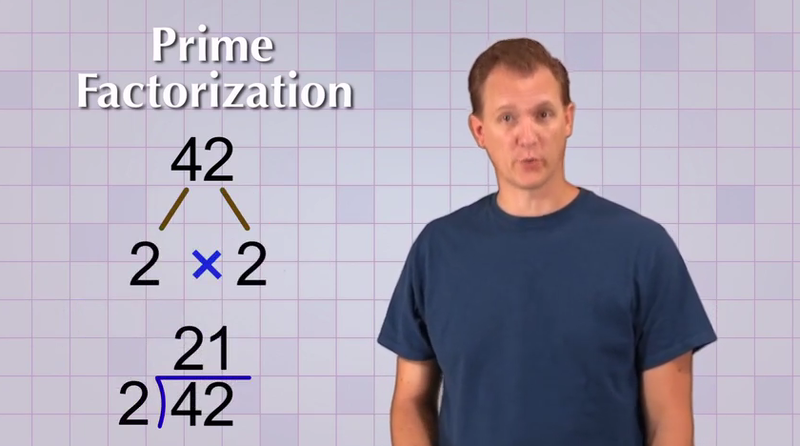 Check out this video all about prime factorization for an introduction to the skill. I'm excited to introduce you to another tool you can use to practice your math skills: TenMarks! TenMarks is an online program where you can hone your skills, track your progress, and even play some fun games! Both you and your parents will get a username and log in, so you can show off what you know to them! Please complete your posted assignments on TenMarks sometime this week. Our science studies will take us on a trip around the rock cycle! We will investigate how rocks are formed and change over time. Over the next two weeks, please complete the following choice sheet to help guide your research. You will have two assessments associated with the rock cycle. First, this Friday will be a vocabulary quiz. Next Friday, you will have a test on the rock cycle. Use the vocabulary list and study guide below to help you prepare. Your first progress report of the year will be sent home this week! Please review it with your family, sign it, and return it to your homeroom teacher. You can find more detailed information about the grades on the report by logging into the PowerSchool program.